BERGE, a leading player in multimodal logistics services in Spain, and GEFCO Group, a global provider of industrial supply chain services and the European leader in automotive logistics have agreed to join forces to create the leading company in the finished vehicle logistics market in Spain. 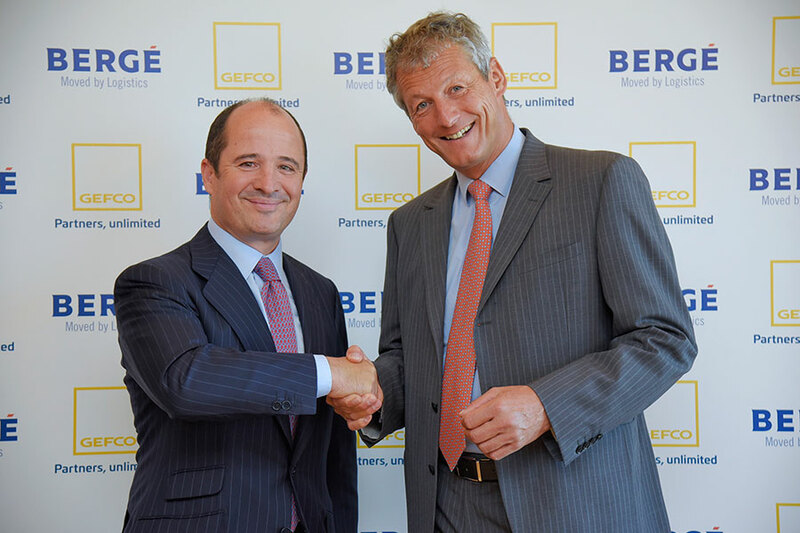 The new equally-owned company, BERGÉ GEFCO, will be formed by the finished vehicle logistics divisions of both companies in Spain, through GEFCO Spain FVL activities and BERGE Automotive Logistics (BAL). The operation is subject to European Commission approval. BERGÉ GEFCO will provide a significant increase in transport and storage capacity and geographical scope. Customers will benefit from 3.4 million m2 storage in coumpounds and ports and the capacity to manage and transport 1.4 million cars annually through a fleet of more than 700 vehicle trucks and 100 rail wagons. In addition, the new company will offer a wide variety of complementary services at its 10 logistic centers throughout Spain and its 40,000 m2 of workshop space including repairs, paint work, car washing, delivery preparations and quality and finishing controls. At GEFCO (www.gefco.net), we believe long-lasting cooperation with partners is the key to shared growth. Building on 69 years of expertise, we design and deploy smart and flexible supply chain solutions in 10+ industrial sectors. Today, the GEFCO Group is the European leader in automotive logistics, and a top 10 global partner in multimodal supply chain solutions. The Group is present in 47 countries, includes over 300 destinations in its current network and employs 13,000 people globally. The GEFCO Group reported a turnover of €4.4 billion in 2017.